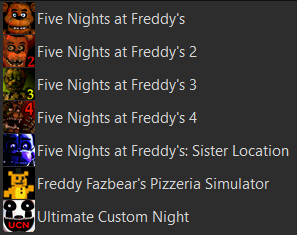 ATTENTION: Once extracted, run "FNAF Series Setup.exe" and install. You may choose which game you'd like to install. After that you're good to play!